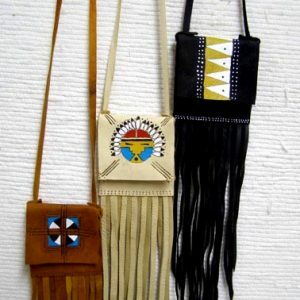 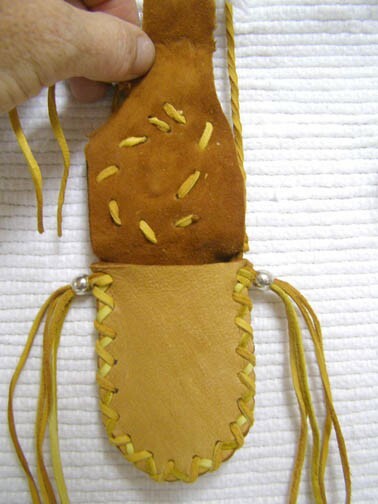 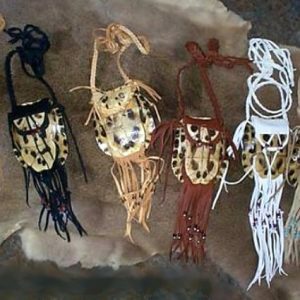 These wonderful hand stitched medicine bags are made of the finest buckskin by Cherokee/Shawnee artist Wolfs Robe. 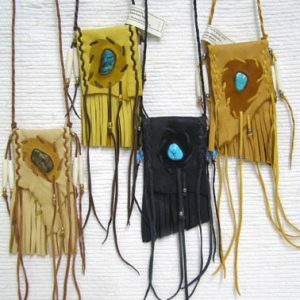 Each bag is unique from its beautiful natural turquoise stone to its hand stitching. 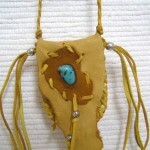 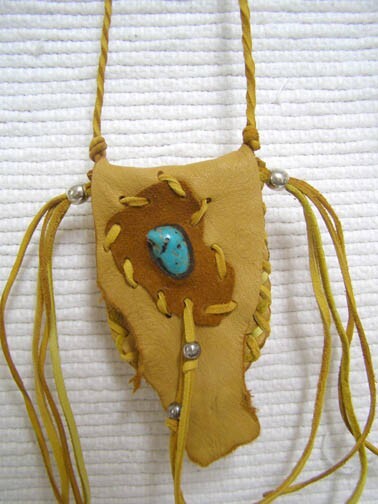 Turquoise is a very powerful stone for the Native peoples and it is believed to possess healing powers. 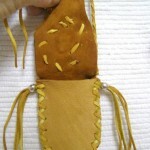 The bag is finished with metal beads. 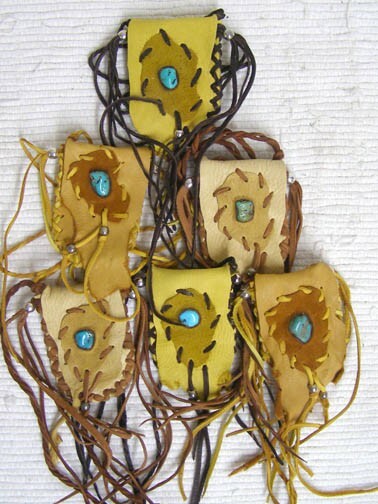 Natural colors for the leather. 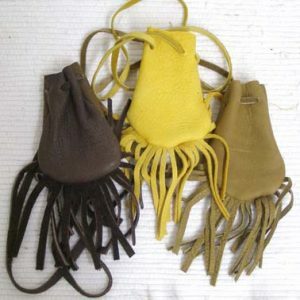 These bags measure 3 inches long x 2.25 inches wide with a twisted leather strap of 28 inches in length.